‘Times Asia Jewels Fair 2015’ South India’s most Glamorous Jewelry Fair comes to Bangalore city! 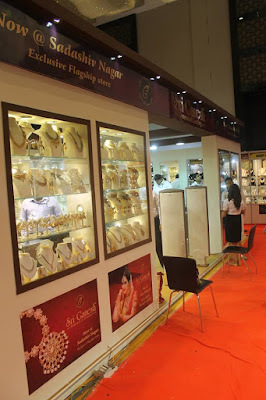 So here is a quick post about the ‘Times Asia Jewels Fair 2015’. And yes, it is happening in Bangalore. 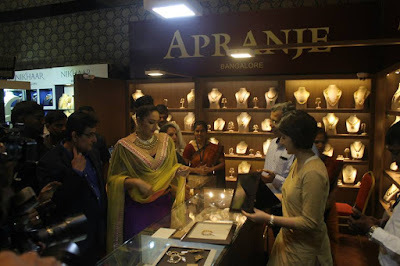 Yes, it is definitely the most glamorous jewelry fair that happens in South India. 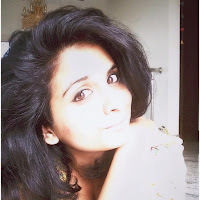 Let me give you a little history now, shall I? This is the 9th edition of the fest that's happening in Bangalore. The event showcases gold, diamond & platinum jewellery. 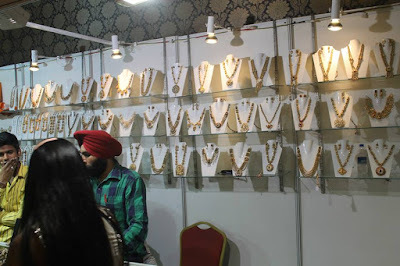 You can also treat yourself to latest collections of fine gold jewellery, diamond jewellery, platinum jewellery, traditional jewellery, wedding jewellery, precious stone jewellery, kundan jewellery and jewellery watches. Here are a few memories from the event that happened previous year, inaugurated by Kannada actress Ragini Dwivedi. Who will showcase their collections, you ask? Here is a list of some of the popular and best in town brands! The event will be happening at The Ritz-Carlton,Bangalore on 99, Residency Road from 10.30 a.m to 8 p.m! Heart of the city, yes it is! The event will be inaugurated by our very own, very gorgeous Ms.Priyanka Upendra on 21st August at 12 noon. Also, you guys have a shot at VIP passes, yes! Here is the link to the Facebook page. Just like the page and RSVP to the event.